"The shape of you, the shape of me, the shape of everything I see.."
text Dr. Seuss introduces the concept of shapes to babies and toddlers. 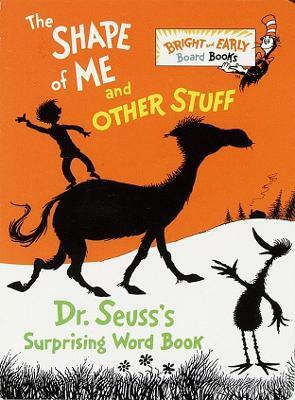 ""The shape of you, the shape of me, the shape of everything I see.." In this board book featuring bright new colors and the original whimsical text, Dr. Seuss introduces the concept of shapes to babies and toddlers. "This wacky, rhyming exploration of the concept of shapes will be welcomed by beginning readers." --Instructor.